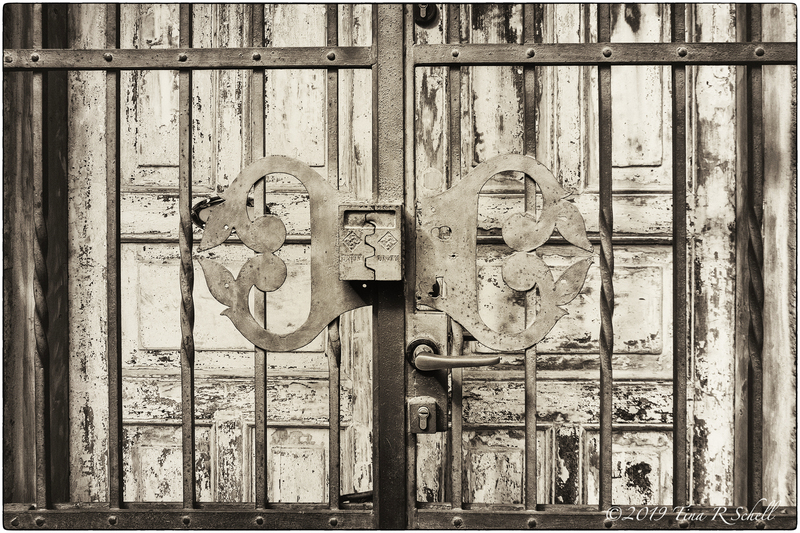 Ann-Christine challenges us this week with her worn or weathered theme. Unfortunately this one is made easier by the number of dilapidated, unattended houses we often see in our travels. The scene captured in my opening image, for example, is from a beautiful golf course my husband and I played in rural upstate New York. I found myself wondering why it was left standing there but forgot to ask as we finished playing. It didn’t help my game that I spent time with the camera during the round but it did add even more interest to a beautiful day 😊. Time passes, there’s simply no way around it. We can try to fight it, or we can embrace it and accept the changes that it brings. Along with wrinkles we develop (hopefully) a better understanding of the world around us and our place within it. We may not be as fast as we once were but we become better at finding the best route – both physically and metaphorically. We have a clear idea of the things that are most important to us and we have more free time to focus on them. My favorite part of the article was its closing thought. The authors suggested we appease ourselves with the knowledge that “time is not literally going faster as we age”. So the next time you feel like it is, take a moment to slow down, notice your surroundings, calm yourself and enjoy the peace and quiet. We DEFINITELY get more of that as we age, right? My husband and I are visiting with family and friends on the west coast this week – an excellent way to pass some very memorable time! Enjoy the moments and we’ll hope to see you next week when Amy brings us Challenge #39. Thanks Randall, it might be a bit drafty for living but fun to see and shoot! I love these images, Tina- missed the post as I was away, but I know you do some great images of weathered/decayed things, so I had to take a look. Fresh air view is marvellous – where/what is the building? Perfect images to edit to black and white. Thanks Dawn – it did seem the logical path! Of your images this week, it is the weather seats that I like the most. Your choice of editing style fits the challenge perfectly. really – time does not officially go faster? Time is all relative. It depends upon which benchmark you use as your reference point. On some days, there are not enough hours. But on others, there are too many. O/T: I’ve relaunched my IG account, @team_krw. For the moment, it’s private. ‘ve sent the comment of my cell phone and am on the send button advised could not finish it. I love the monotone treatment of these images, Tina! Beautifully captured! Tina, converting the images works beautifully. You always surprise me with excellent choices Tina. Your shots of the are awesome, Tina. Thank you for sharing. These are rustics beauty, Tina, as they age not even weathered nor worn out. 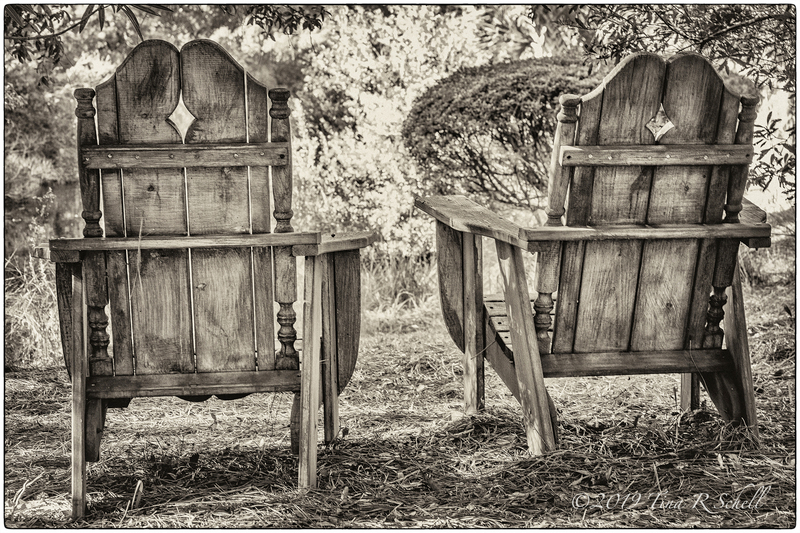 I could see myself seating in one of those chairs to pass time and watch the world go by. The weathered shots along with the quotation make your post really very special, Tina. Thanks Cornelia, always drawn to the weathered aren’t we?! Thanks so much Kimball, loving the desert—so different from Kiawah! Your photos today have a lot of atmosphere in them. Love the collection. Thanks Colline, I’m a big fan of the rustic/worn! I love the editing you did with these photos. It compliments the subjects. I have also read about the time passing idea – it sure does ring true ! 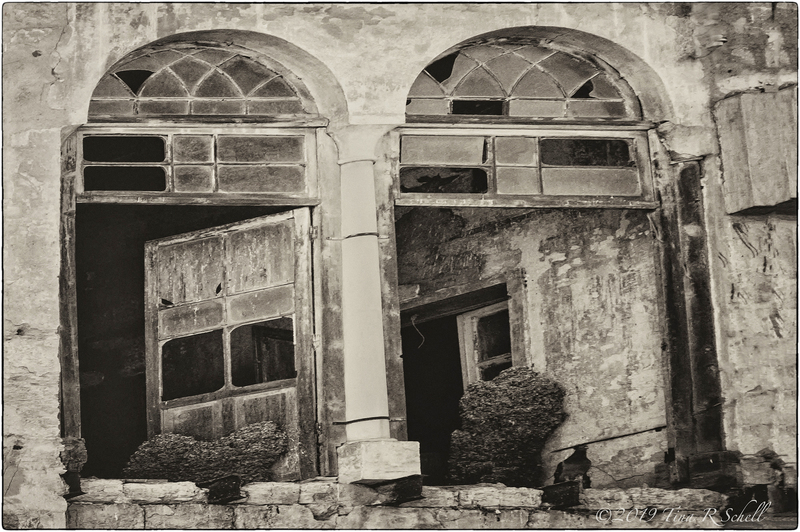 Beautiful weathered shots, Tina! a fun photo prompt! Fascinating about the ratio of time compared to our age. That explains a lot! Beautiful images as always Tina. Thanks MM, it was the first time I’d seen it and agreed wholeheartedly! Fantastic photo’s, Tina! I love the way you described time. That is certainly something we shouldn’t waste. Love your excellent take on this – sepia is of course perfect when it comes to this theme. I feel strongly about Down on the Farm – its details and depth. And thank you for the article in Scientific American – those thoughts and questions, which almost all of us have about time, might be answered. It sounds very rational and possible that it would work that way. Wishing you a continuous geat time with your family and friends! Thanks Ann-Christine, it’s quite beautiful out here this year! Love your take on weathering and the clever processing of these images. ‘Down on the Farm’ is fabulous, like a very old lithograph. And I adore the ‘Take a Seat’. I’d be very happy to take them 🙂 And yes, I have always reckoned on the ratio factor when considering how time passes. It still goes too fast though! Beautiful photos. Nothing develops the wonderful texture of wood as it ages. Except possibly the human face, come to think of it. I enjoyed all of these, Tina, but especially the chairs. They look so inviting. Enjoyed your well-worn photos, Tina, in all their faded glory. Down on the Farm is an appealing composition with a lot of interesting elements. Time …heard once it’s kinda like a roll of TP … near the end it seems to run out so quickly! 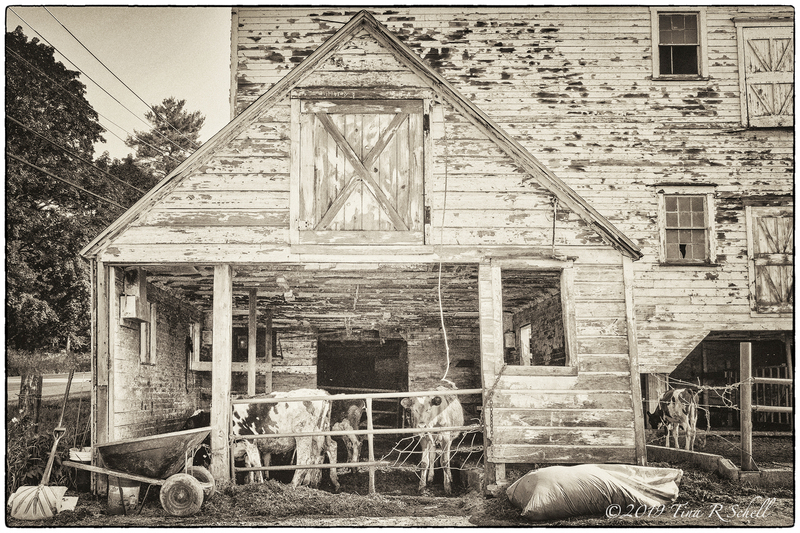 Love what you captured & wrote T; & having grown up surrounded by family farms, old barns are special to me. Thanks! Beautiful thoughts and images, Tina. I also have the impression that time is passing faster, so the Scientific American article was reassuring. My favorite images this week are the last 2. They are marvelous in sepia. Great details. Yes, I’m afraid it’s true for most everyone I know Patti 😫. Glad you enjoyed these! I did. Hope you’re enjoying your time out west. Time is well expressed through your beautiful words and photos. Very clever to blend it with the weathered or worn theme. Love the last quote especially. Thank you, Tina for this inspiring post! What great pictures, Tina! 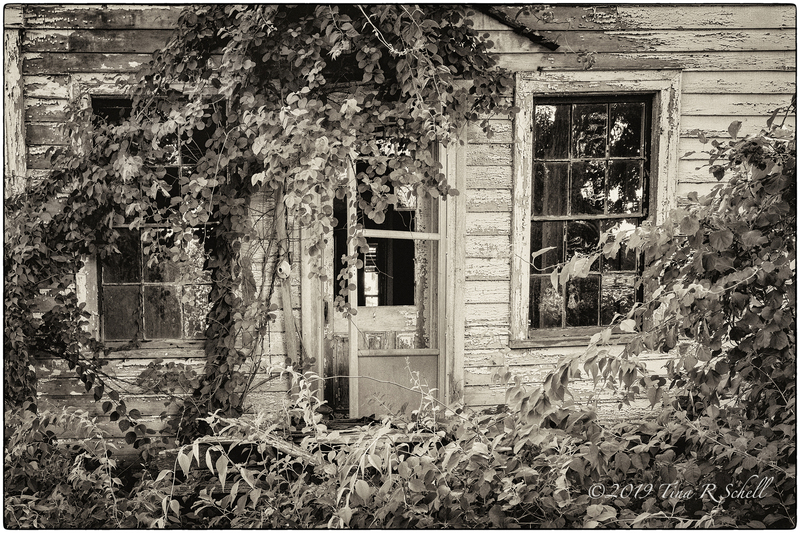 Love the way you presented your images, they really capture the essence of being worn and weathered. Also enjoyed reading your thoughts. Know you both are enjoying your time with family and friends. Safe travels back home, will see you soon! Thanks Sylvia! Nothing like a weathered/worn site to catch a photographer’s eye! Many thanks Sylvia. Beautiful out here! Very much enjoyed the photos and the thoughts. Made me think. Best thing a blogger can achieve Cec, thanks! Enjoy your visit to a very different part of the US, Tina. These are lovely weathered photos and I enjoyed your thoughtful prose as well. Farm buildings that are falling down make me sad as well as leave me wanting to take photos. It’s interesting that in Europe, weathered building look, on the whole, less forlorn and ramshackle to me than those in the US. Perhaps it’s because they’re in a place where history extends so much further. Sometimes I stop and think that 20 years now is just under a third of the time I’ve been alive, so if I live another 20 years, I have quite a bit of time left. 🙂 However, I still want to stop and think how to make the best use of it. Thanks Janet-so beautiful in a very different sort of way! I’m always drawn to these rough, worn textures as a photographer, maybe because I’m such a neatnik myself! While I enjoy a distressed finish here and there, or an old brick wall or two, in general I am always scrubbing and sanding and freshening up my own environment. Given these proclivities, my husband always laughs when I get entranced by an old falling-down barn or crumbling wall on our travels! All of your images are great, but I particularly like the farm one. I agree Lex, not for my home but my lens sure loves then! Great. I really like these sepia-toned vintage shots.